Enamul Haque, also Enamul Haq was born February 27, 1966, Comilla, Chittagong. He is a former Bangladeshi cricketer who played in 10 Tests and 29 ODIs from 1990 to 2003. After retiring from competitive cricket he became an umpire made his first appearance in an ODI between Bangladesh and Zimbabwe in December 3, 2006. He is the first Bangladeshi Test-match cricketer to umpire in international cricket. There was some confusion about his age when he was selected for the Board President's XI in the opening match of England's 2003-04 tour: he was supposedly 16, although most people had him pegged as two years older than that. But that was nothing compared to the confusion he caused England's batsmen. 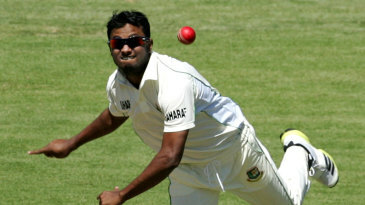 In a giddy spell on the second afternoon, England lost four wickets for no runs, including three to Enamul. It propelled him straight into the inaugural Test the following week, where, in tandem with Rafique, he bowled with skill and impressive composure to embarrass England's batsmen again. Enamul gives the ball a big rip from a high, economical action, and looks set to be a fixture in the squad for some time. He took 6 for 45 - and the historic final wicket - to send the country wild with an inaugural Test victory over Zimbabwe in January 2005, and then added 7 for 95 (and 12 in the match) in the drawn second Test. 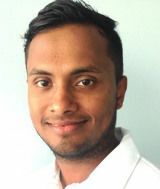 Find Enamul Haque profile and stats of batting, bowling and fielding including latest updated news of Enamul Haque, videos and images at Hamariweb.com. Also find detail Player profile and career statistics of Enamul Haque of Bangladesh. Enamul Haque - Find Enamul Haque of Bangladesh Cricket Team complete player profile, number of matches, runs score, wickets & catches, Statistics, Records, Enamul Haque Latest News, Enamul Haque Videos, Enamul Haque Photos, and other Enamul Haque Cricket Team players.